Welcome to my colorful world of crochet and crafts! I love that you’re visiting, and apparently want to know a little bit more about this blog and the woman behind it. 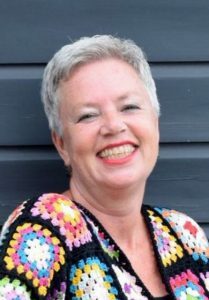 As you might have read on the main page: I’m Marianne, I’m 59 years old, Dutch, and I live near Amsterdam/The Netherlands, with my husband of 38 years, our 18 year old son, cat Isa and dog Mila. Our 22 year old daughter has already moved into her own apartment. So…. where does my creativity come from? It’s clearly in my genes: my grandmother was an expert (sock) knitter, and my mother ventured out in every possible craft (and was very good at all of them). I clearly remember being creative from an early age on: coloring, drawing, making puppets, using the shells I found on the beach to decorate boxes, anything crafty – I loved it. My first piece of crochet was a poncho, in pink, green and white and I was 9 years old when I finished that. I was so proud when I could finally wear it, although ponchos had gone out of fashion already by the time mine was ready :)! After my professional career as a management assistant – when there was no time at all to craft – I have revived my (long lost) creative side, and have actually discovered that this is where my true passion lies …… Never too old to find out, right? Quilting, knitting, crafting in general, but mainly crochet. Ever since I picked up my hook again back in 2010 I’ve been doing so with great pleasure and joy. I usually find inspiration on the web (Blogs, Facebook, Instagram, Pinterest), but I enjoy going through craft/crochet books as well and sometimes even (the colors of) a painting, piece of fabric, or add can ignite a new project. As I’m sure you’ve seen, I’m mostly drawn towards bright colors. Designing my own patterns started with putting my own little twists on the things I made using other people’s patterns. A lot of my crocheted projects have been put to use in our own home, and in my beloved and very colorfully decorated “Tuin 11” (our small cabin on the waterfront) – or have been gifted. Nonetheless, my studio gets overcrowded with finished projects all too quickly, hence the decision to start selling some of my crochet. More or less around that time (2013), people started asking me for patterns and “how-to’s”, which made me start this blog – and I’ve enjoyed blogging ever since! It’s great fun and a perfect way to share my love of crochet and crafts! Since that very first blog post at the end of 2013 a lot has happened to me and “maRRose”, all good stuff. Friendships – virtual ones, but also real ones – have been built. I feel connected to many talented makers, not only here in The Netherlands, but around the world, and I could not be more pleased, happier and excited about that. 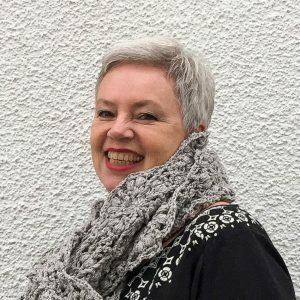 I love that my initial wish to inspire others – thus giving back a little of my knowledge and inspiration to the crochet/craft community – has come true. I also love the many opportunities and fun adventures that I’ve experienced through “maRRose”. Just to pick a few: my YouTube-interview for the “Koffie&Wol-show”, a full page interview in “Simply Haken” (Dutch sister publication of “Simply Crochet Magazine”), as well as being one of the Craft as Therapy-moderators, and MY BOOK: – all so very exciting! Next to crochet I’ve fairly recently found another crafty love: punch needle! You can find more info on that right here on the blog. Punch needle also got me into teaching, and as it turns out: I LOVE teaching! And who knows what interesting things might be lying ahead in “maRRose”s future…. One thing is certain: I can’t wait for them to happen, and more importantly, share them here with you! Again, thanks so much for stopping by, I do hope you feel at home here and will visit again. If you have time, please leave a quick note – I would love to hear from you! Hi, Marianne – I’m suregal27 from Instagram! I’m just starting to realize that the names and faces I see on Instagram belong to people who have books, shops, shows and blogs in real life! So I thought I would check you out. You are one of the nicest Instagram people I know – so cheery and encouraging. I’m always happy when I see an Instagram post from you, or a “like” or a comment left by you. Thanks for the happiness and color you bring to the internet! Je maakt harstikke leuke dingen. Geweldig. Ik wou dat ik zo creatief was. Ik vind de emilia pop helemaal te gek. Het origele patroon is van nog zo,n creatieve duizendpoot Annaboo. Ik heb pas haar pop ontdekt , waar jij het patroon van hebt, bij de etsy shop en vind het heel jammer dat ik het patroon niet meer kan kopen. Weet jij een manier? Zou me helemaal blij maken. Groetjes Liesbeth. Hi Marianne I av just come across ur wonderful book and can’t wait to start something from it…but what?There’s do many lovely designs.I am pollypenny on Instagram and I too love crafts but crochet I love.Like u from being little I was taught to crochet by my mum when I was 9 and I made my first granny blanket.I went on to do art after leaving school but didn’t carry it on.Nowadays I am an early years teacher, I av 2 teenagers a husband,dog and tortoise!! My passion is crochet which I wish I could do for a living! Hi Pauline! Thank you for your sweet comment, and more importantly for buying my book – so happy to read you like it! 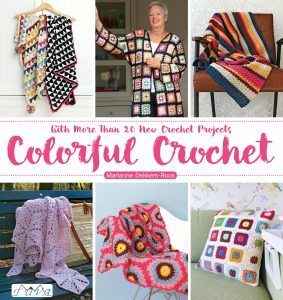 I sure hope you’ll crochet many made-with-love projects from it! I have recently bought your book Colorful Crochet. It is a fabulous book and has given me the confidence to crochet something ‘proper’. The book and patterns are so easy to understand and the designers tips and notes are so useful. Is there a pattern for the crochet mood blanket 2014 that you did. Really like it. Hello: I saw the pix on your page showing a bunch of old wooden hangers, they are just the plain straight kind, no wood across the bottom and would love to find out if you have more or where can I purchase some of the same type? Een patroon van een uiltje ,heb je dat om te kopen? 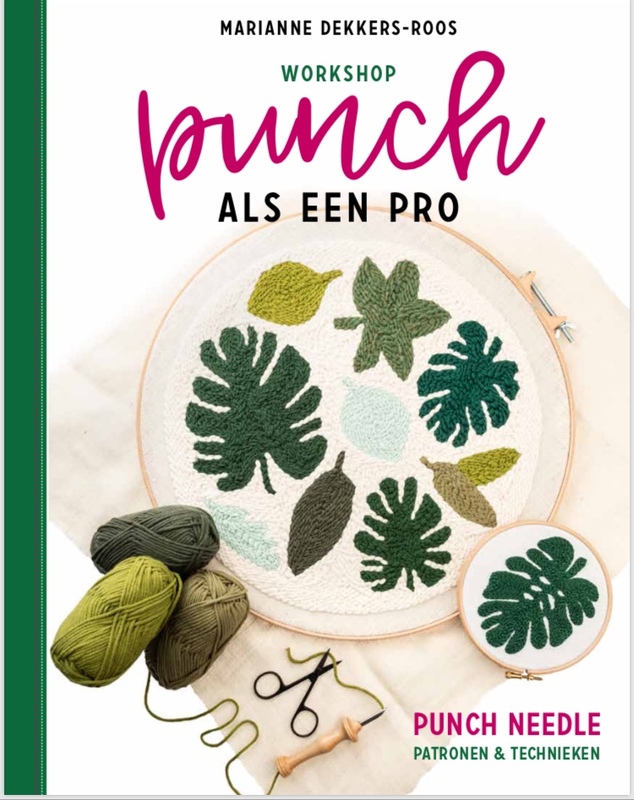 Nee, dat heb ik niet – al mijn gratis patronen vind je hier (https://marrose-ccc.com/crochet-patterns-and-tutorials/) en hier (https://marrose-ccc.com/diy-tutorials/), en mijn koop patronen hier (https://marrose-ccc.com/product-category/digital-patterns-pdf/). 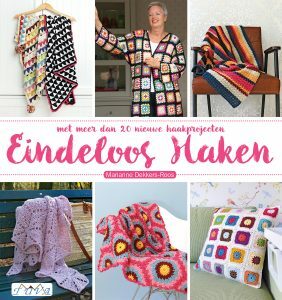 Een patroontje van uiltjes (gratis), vind je vast hier (https://nl.pinterest.com/search/pins/?q=crochet%20owl&rs=typed&term_meta%5B%5D=crochet%7Ctyped&term_meta%5B%5D=owl%7Ctyped).